When it comes to buying insurance, Brightway, North Fort Myers is your source for expert advice and more choice. Whether you’re looking for a competitive rate for Homeowners insurance or need help determining the right amount of Commercial coverage, you’ll receive personal attention from industry experts committed to your satisfaction. Our team is led by Sherry Ausdran, an agent with more than 20 years of experience in the industry. As an agency, we take the time to develop a relationship with you so we completely understand your needs. If we can answer any questions about Home, Auto, Life, Business, or other types of insurance, stop by or give us a call. A native Floridian, Sherry has been in the insurance industry for over 20 years and earned her Chartered Life Underwriter designation through the American College. She thrives on helping customers understand what they need to know about insurance to ensure their assets are protected. 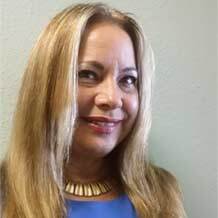 She is a member of the North Fort Myers Chamber of Commerce and supports local soccer teams, golf tournaments, fishing tournaments, area bike night events, as well as the Alzheimer's Association. Sherry loves fishing, boating, and spending time with her husband and their pets. She also enjoys going to the beach, riding bicycles and motorcycles, and roller skating. 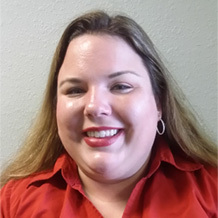 Fluent in English and Spanish, Chrystie is a Licensed Insurance Agent with over a decade of experience. As an Agent, she has represented other companies before, but never as many as she does at Brightway. Chrystie hails from Vermont and settled in Fort Myers over 12 years ago. She stays active in her community by participating in charity events like Vision Walk for Blindness and Skate for Hope. She also enjoys singing in First Assembly of God Sanctuary Choir and figure skating at Germain Arena.